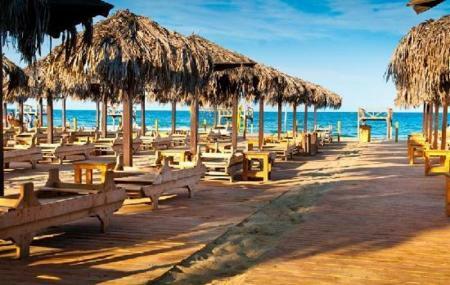 Find hotel near Stabilimento Balneare Le ..
Stabilimento Balneare Le Capannine is a beachside resort and nightclub. It is known for its wonderful nightlife. After the sun sets, the place lights up with great music, drinks and food, and people can dance and sing karaoke songs all night long. The overall friendly nature of the staff provides a nice experience to people. During the day, it is deemed suitable for children too with all the expected facilities. How popular is Stabilimento Balneare Le Capannine? People normally club together Catania Tango Festival and San Benedetto while planning their visit to Stabilimento Balneare Le Capannine.